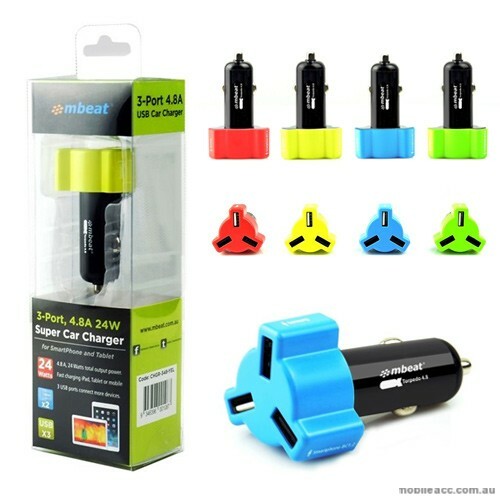 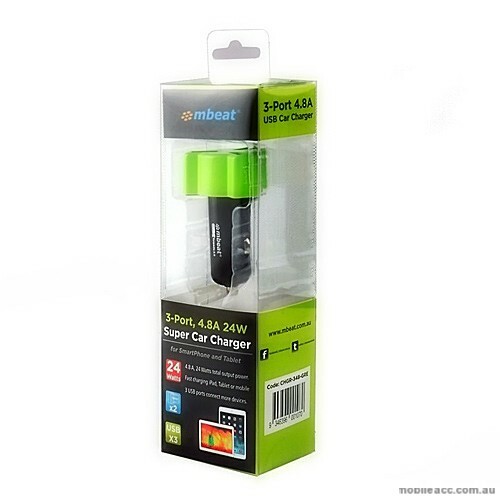 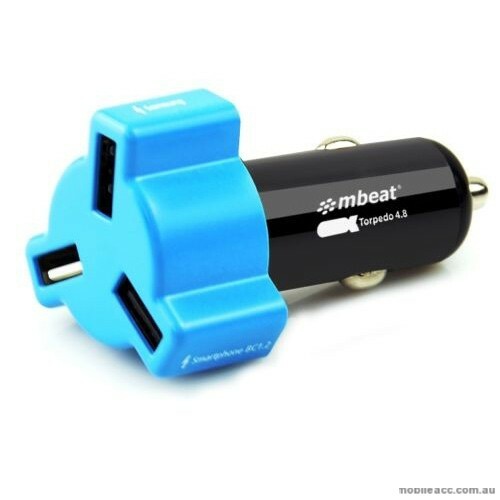 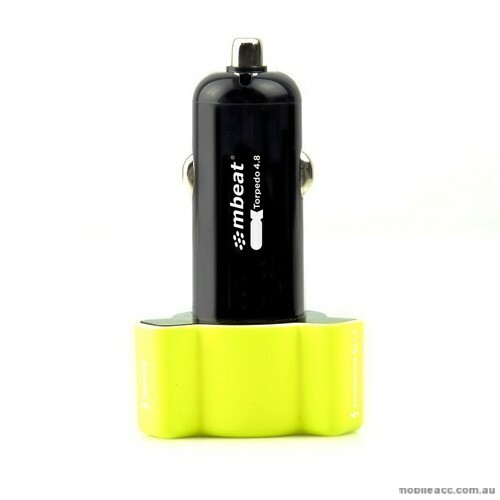 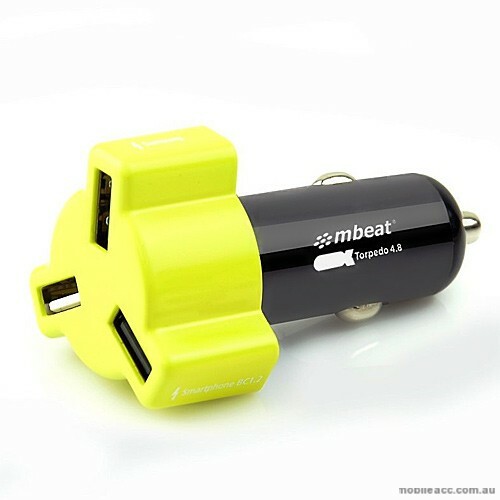 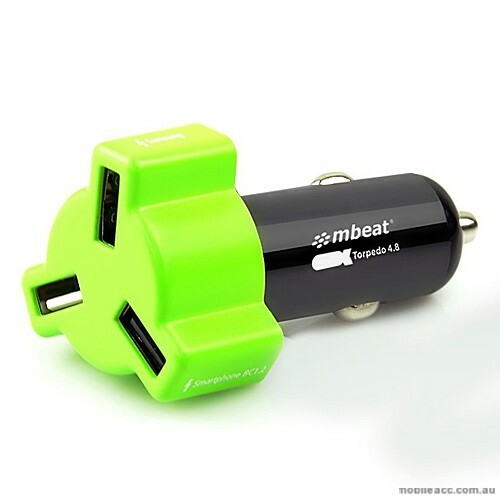 Mbeat 4.8A 24W triple-port car charger is the only few car chargers on the market that provides not only massive power but also multiple ports to rapidly charge multiple smartphones or tablets simultaneously. 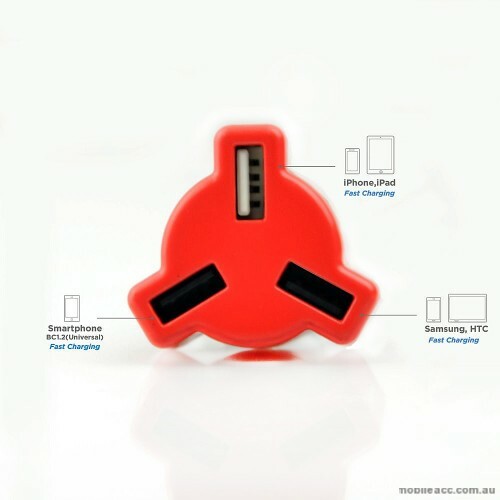 One USB port is designed to compliant with Apple s charging standard that allows you to rapidly charge iPhone and iPad products, one USB port is designed to compliant with Samsung s charging standard that allows you to rapidly charge Samsung or HTC Smartphone and tablet and one USB port is designed to compliant with BC 1.2 charging standard to rapidly charge most of popular smartphone brands on the market. 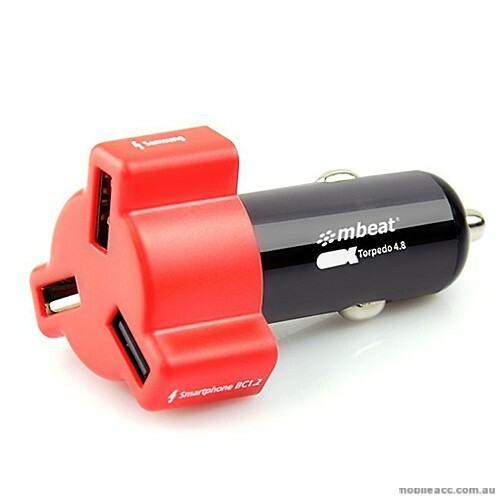 3 USB ports to share the maximum output current up to 4.8A that is enough to feed most of your power hungry devices on road. 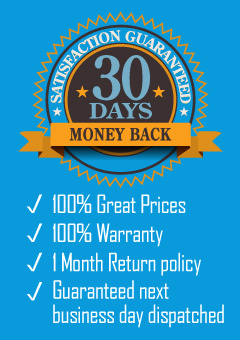 Products are available to purchase in 4 bright colours, red, yellow, blue and green.